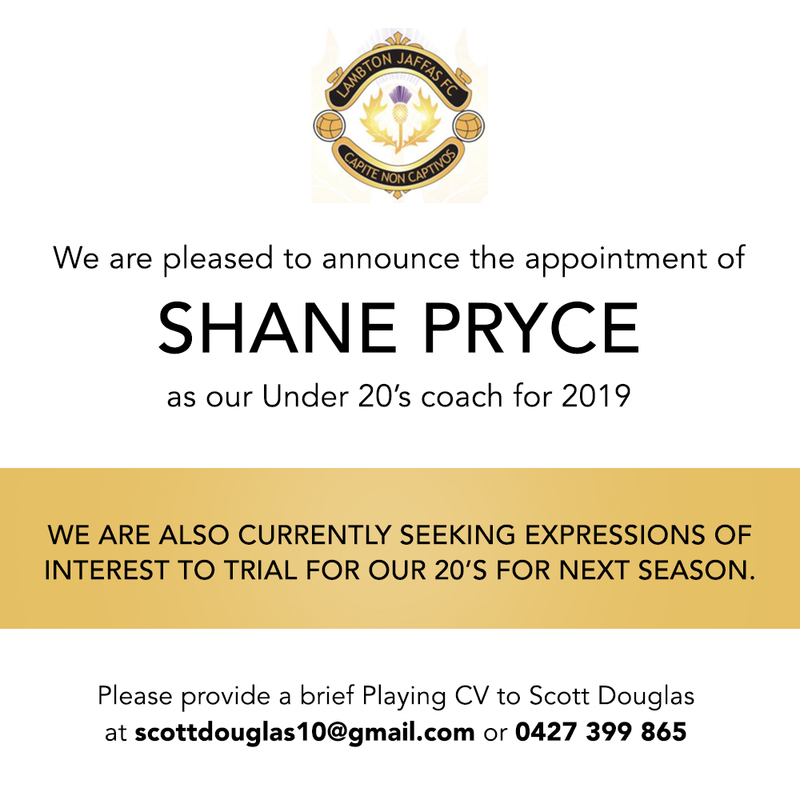 Shane Pryce has been appointed the Under 20's Coach for the 2019 season. Along with this announcement, the Jaffas would also like to inform you that expressions of interest are currently being sort to trial for the 20's team for next season. If you wish to trial, please provide a brief playing CV including your date of birth, last club, age group, playing position and contact phone number. This information can be sent to Scott Douglas at scottdouglas10@gmail.com. If you would like further information, please call Scott on 0427 399 865.